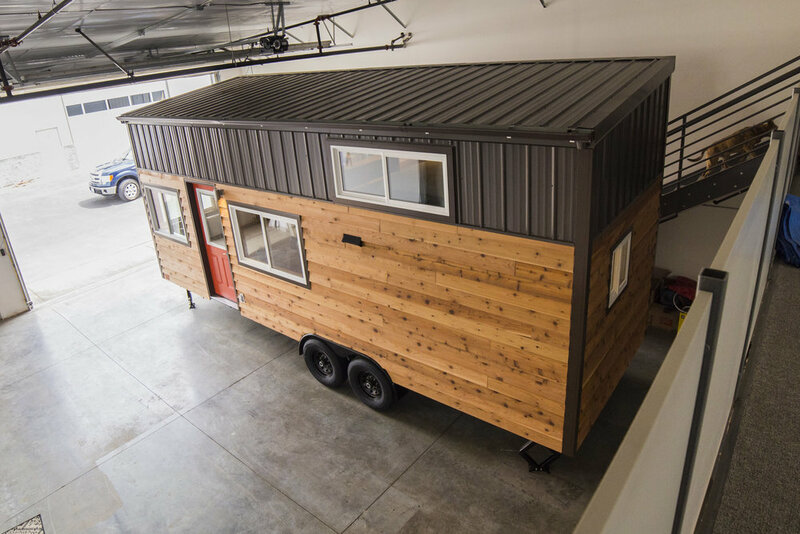 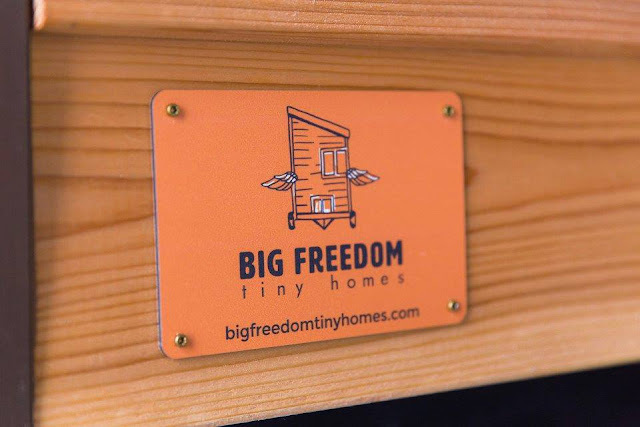 Big Freedom Tiny Homes builds modern, sustainable homes that any homeowner would be pleased to have. 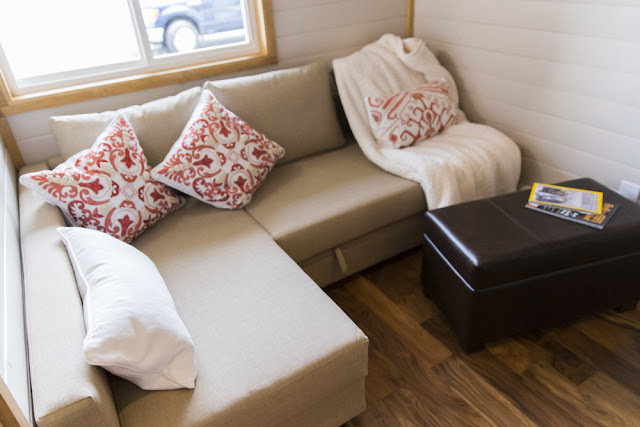 This company creates spacious feeling homes by utilizing white interiors and large windows. 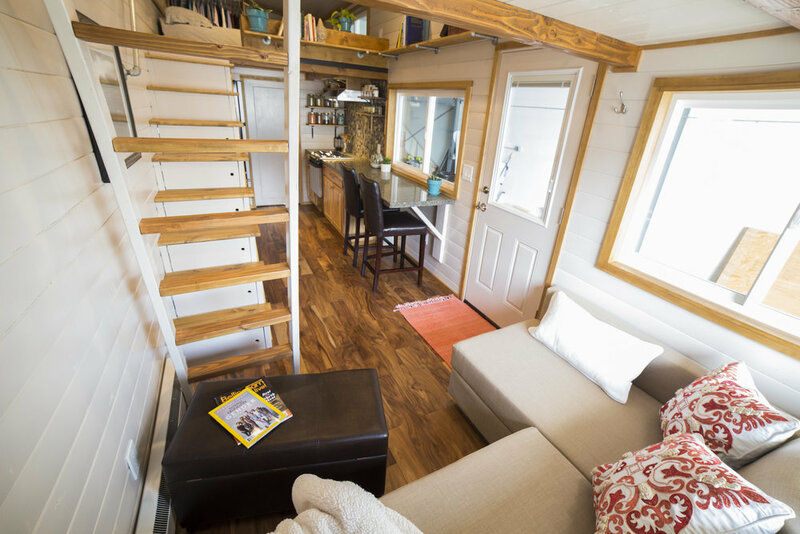 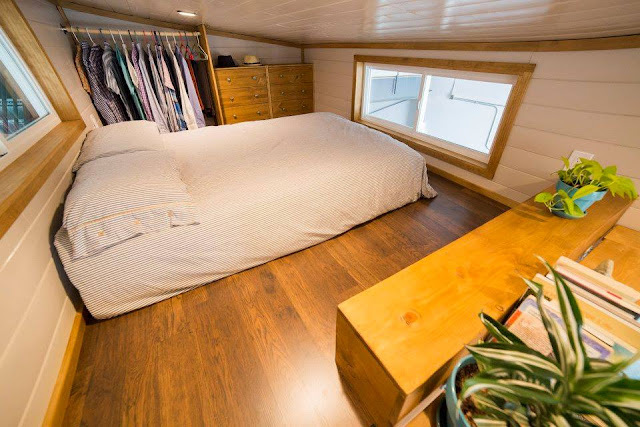 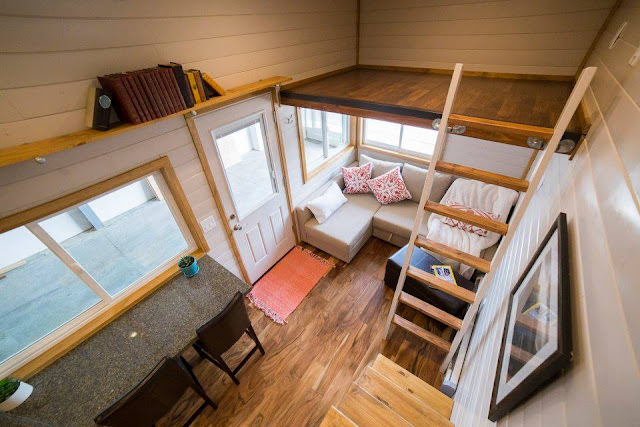 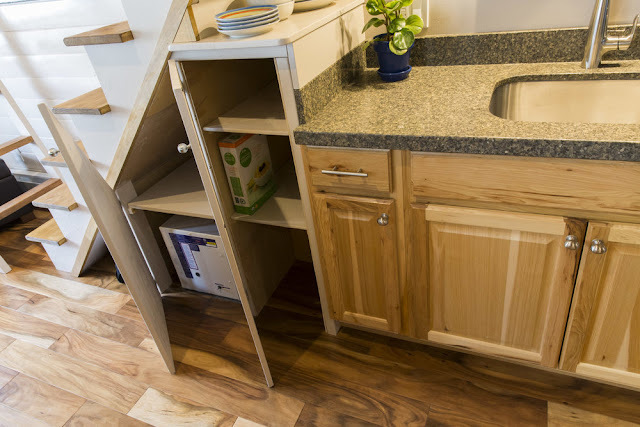 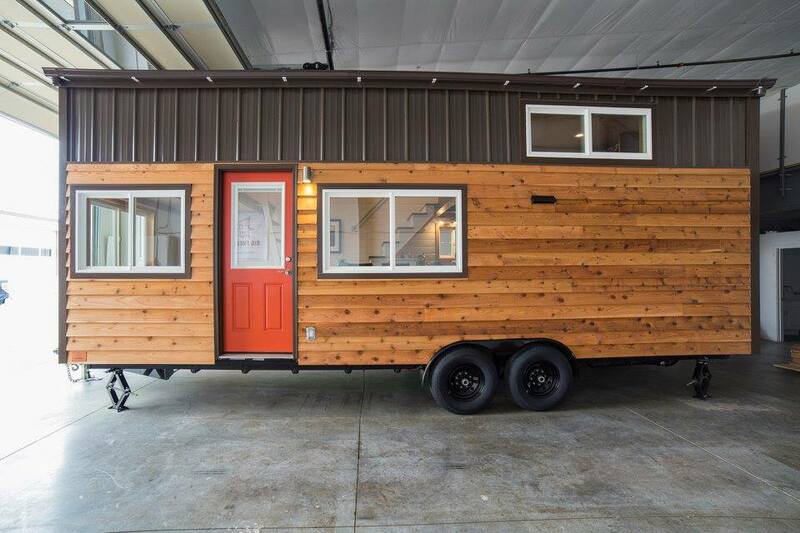 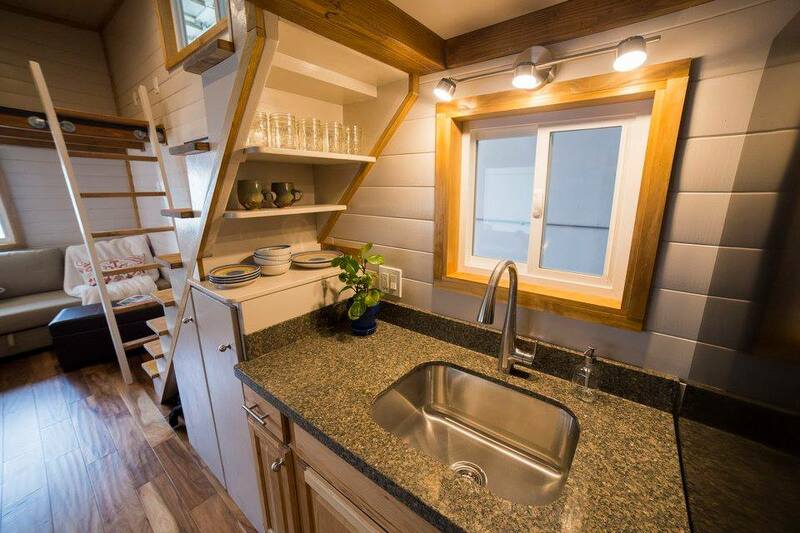 Also, Big Freedom Tiny Homes utilizes each space cleverly by giving them dual functions. 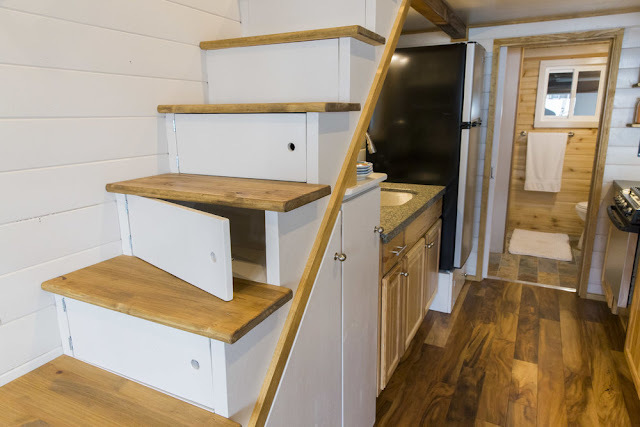 When you walk into a Big Freedom tiny home, you will see a living room on your left, stairs straight ahead and the kitchen, dining and bath rooms on the right. On your left, the living room features a sectional couch and coffee table or ottoman. 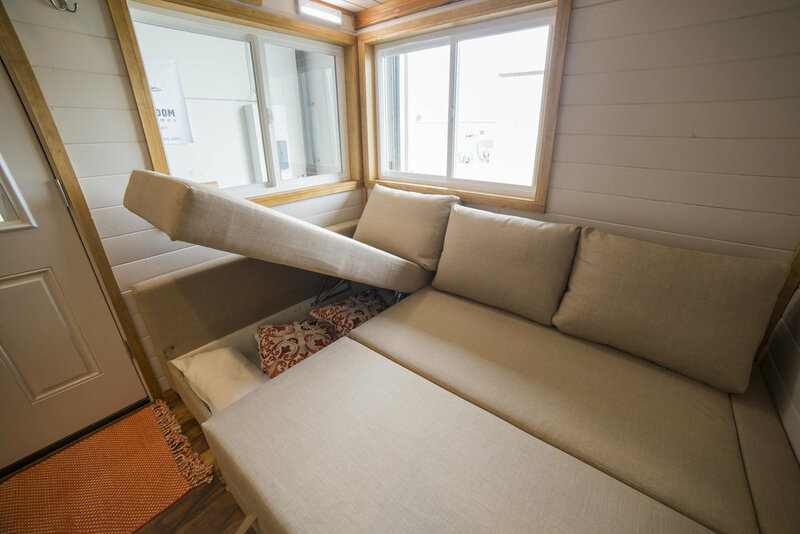 The couch has storage within it and can also be converted into a queen-sized bed for additional sleeping space. 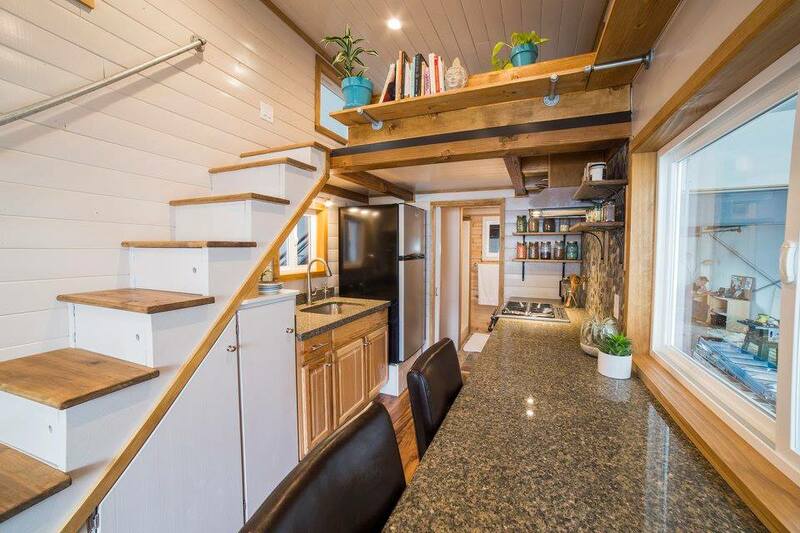 Straight ahead, you will see two sets of stairs. 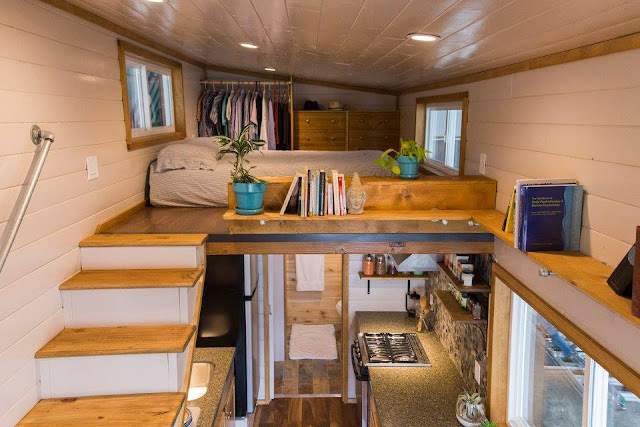 One is a staircase that leads up to the lofted bedroom, and the other is a ladder that leads up to an additional loft. 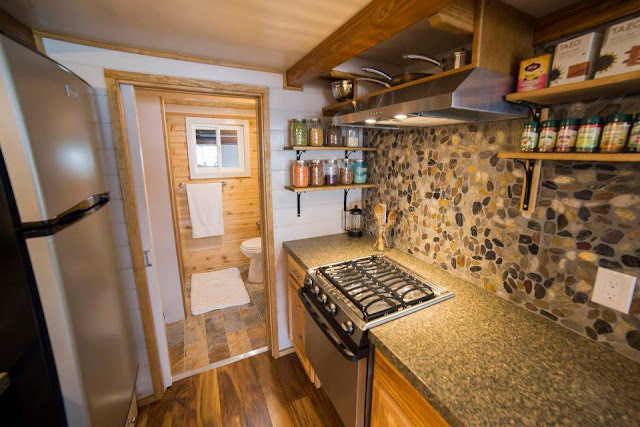 On the right, you will enter a luxurious kitchen. 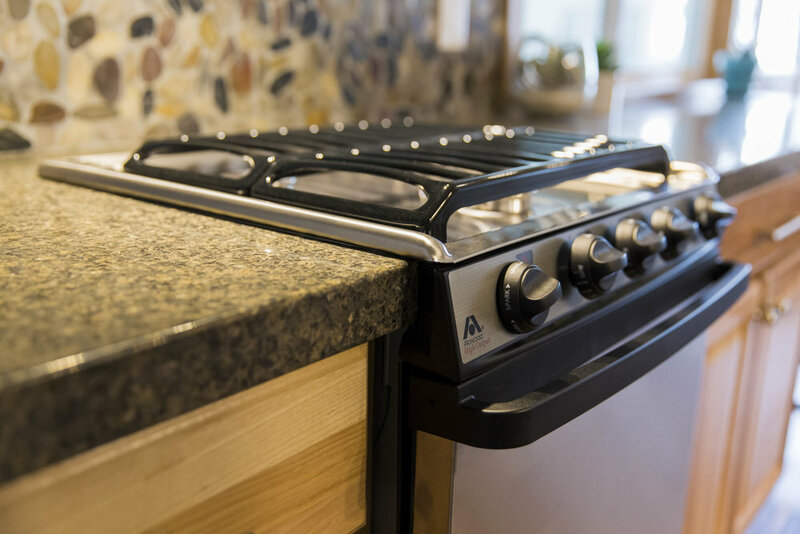 This space features granite counter tops, white or light wood cabinetry (depending on the trim throughout the rest of the house), a stainless steel sink, a 4-burner stove/oven and a refrigerator/freezer. 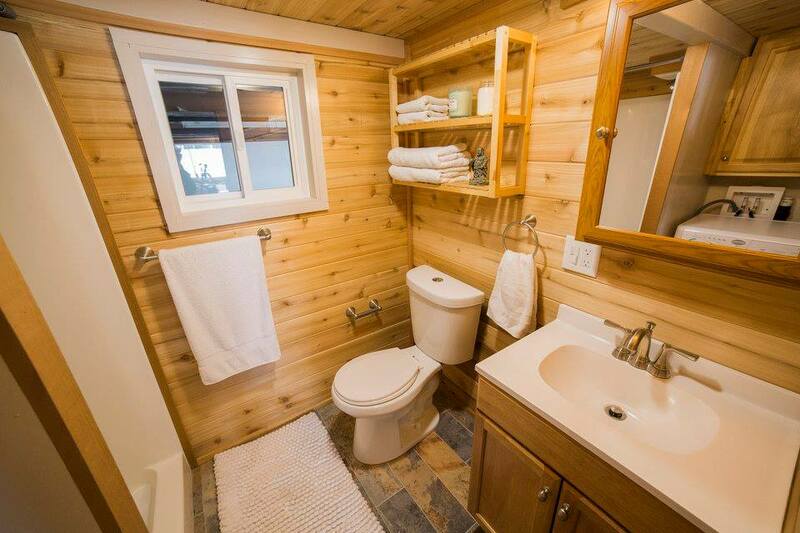 Past the kitchen is the cedar-lined bathroom. 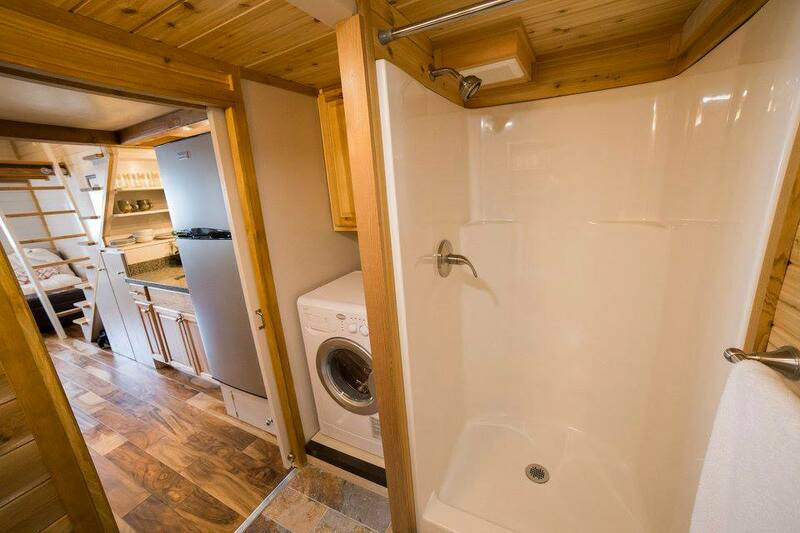 It is furnished with a white sink, white vanity, medicine cabinet, dual flush toilet, walk-in shower and washing/drying unit. For more information on Big Freedom Tiny Homes, contact them here!